The third generation of Google's Pixel flagship phone is due to land this fall, and we already know a lot about it. The year of Android releases isn’t over until Google says it is. After Samsung, LG, and Apple each have their moment in the spotlight, all attention turns to the Pixel phone, and this year’s release—inevitably called Pixel 3—is shaping up to be one of the best phones of the year. At least if all the leaks come to fruition. With only a few weeks until Google shows off its new handset, we already have a pretty good idea of how it will change the game. Much like last year’s Pixel, which brought a bigger screen and stereo speakers, and dumped the headphone jack, the Pixel 3 is shaping up to be a full-scale evolution of its predecessor that will reinvent the “pure” Android appearance. Here’s everything we think we know about Google’s next phone. Update 09/07/18: Google has sent out invitations for its Made by Google event, which will take place on October 9 at Spring Studios in New York City. The latest Pixel will once again come in white, but this time the back will be all glass. Pixel and design don’t exactly go hand in hand. While the Pixel 2 improved somewhat on the original’s gratuitous use of empty space, it still paled in comparison to the best phones of 2017, with giant bezels and a hefty forehead and chin, especially on the smaller model. So, if you were hoping for a dramatic upgrade with the Pixel 3’s design (as we were), you’ll probably be disappointed. That’s not to say the Pixels won’t be changing, though. Based on rumors, leaks, and renders, most recently from XDA-Developers, the two models will once again differ on the outside, with recent rumors from a Ukranian blogger (via Android Police) suggesting that the XL model will adopt a significantly 6.7-inch screen (up from 6 inches on the Pixel 2 XL) and a sure-to-be controversial display notch. That would make it even larger than the 6.4-inch Note 9. Russia-based site Rozetked.me has presumably gotten its hands on a Pixel 3 XL production unit. As you can see in the MySmartPrice image at the top of the page (reportedly based on Google’s official CAD renders), the smaller Pixel won’t be getting a notch. While it will likely pick up the rounded display edges of the Pixel 2 XL, the overall look appears to be very similar to its predecessor. 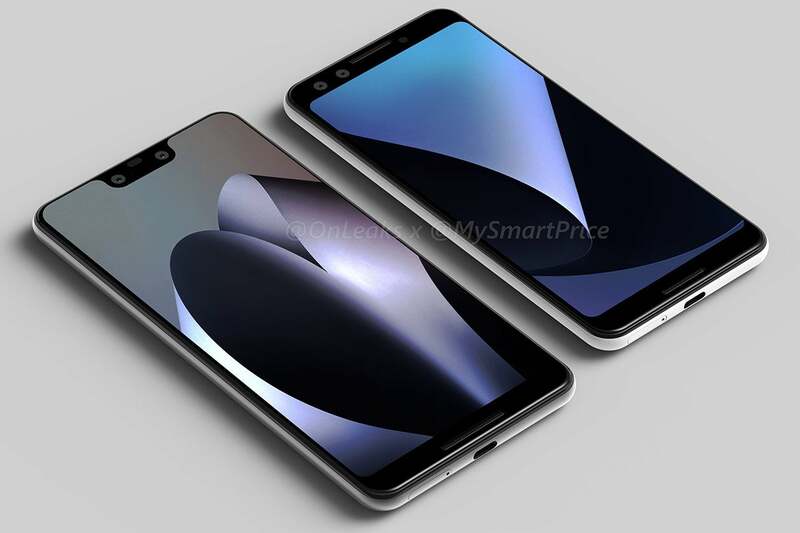 A series of leaked photos by a Reddit user (see below) shows a 5.5-inch display with a 18:9 ratio, slimmer bezels, and front-facing stereo speakers. It looks very much like a smaller version of the Pixel 2 XL. Around the back, Google will likely be tweaking its trademark two-tone styling, switching to an all-glass design this year to accommodate wireless charging. 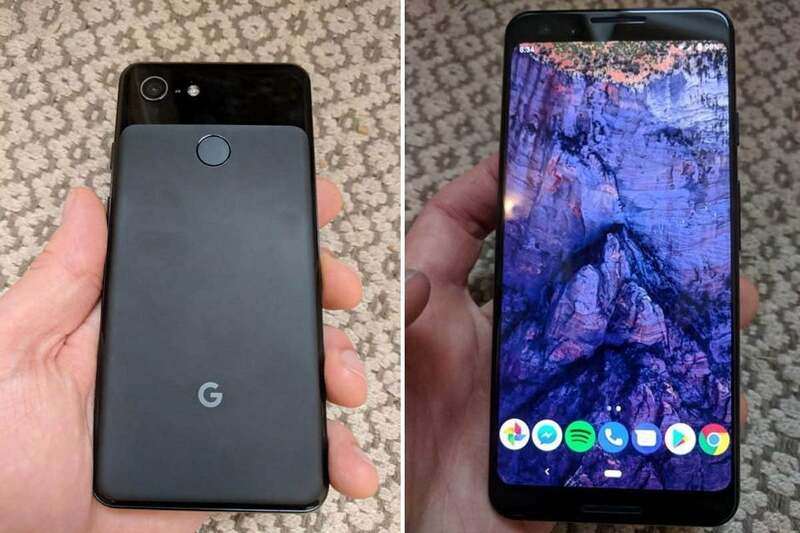 As far as colors go, we’ve seen leaks of the Pixel 3 in traditional black and white, as reported by XDA-Developers, though we’re hoping Google has some tricks ip its sleeve for a third color as well. And we’re happy to report that 9to5Mac spotted the cool orange button on the XL model. But all anyone will be talking about is the XL’s notch. Google took some lumps last year due to the quality and dullness of the Pixel’s LG-made OLED display, and there could be some blowback this year as well. 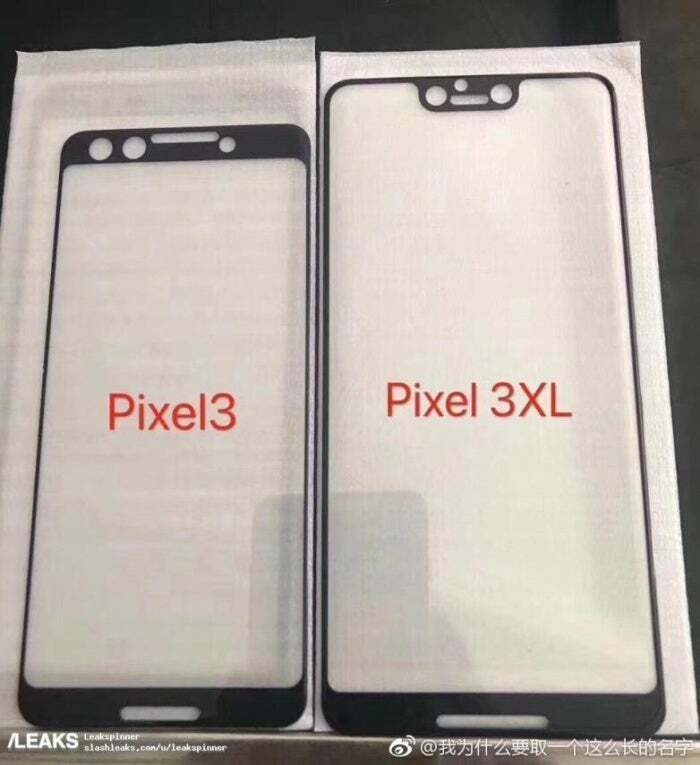 Not only is the Pixel 3 rumored to follow the likes of LG, OnePlus, and Huawei with its camera cutout at the top of the screen, leaked panel shots show that the notch is quite a bit taller that it is on those other phones. There also looks to be a hefty chin below the screen. As the last major phone release of 2018, the Pixel 3 will surely be packed with the latest and greatest specs, as confirmed by a bootloader uncovered by XDA-Developers: a Snapdragon 845 processor, 4GB of RAM, and 64GB/128GB of storage. According to the same Ukraine blogger who divulged the screen size, the battery will top out at 3,430mAh, which is smaller than the Pixel 2 XL. Considering it will reportedly have a much bigger display to drive, it’s unlikely the Pixel 3 sees much of an improvement in battery life. 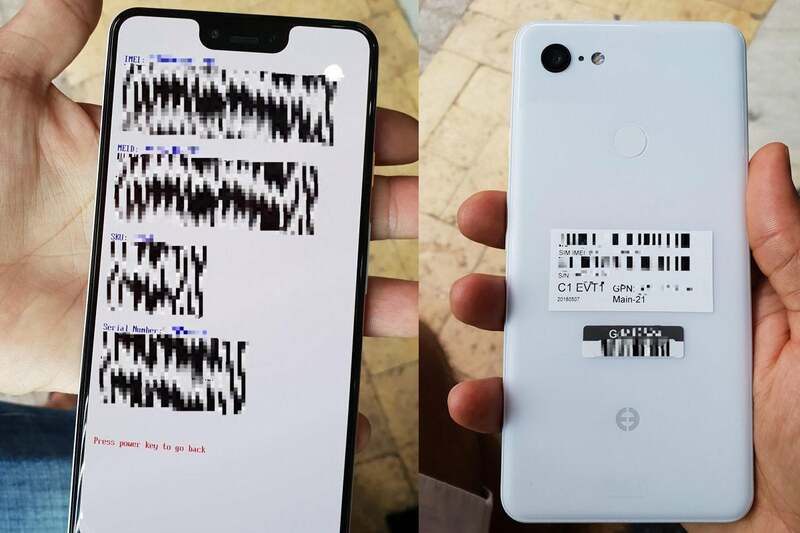 The leaks of Pixel 3 front panels show a notch with two camera holes. The camera is probably the number one reason to buy a Pixel phone, and we have no reason to believe that’ll change with the third generation. However, we don’t really have any evidence that it will improve either. Based on the leaks we’ve seen, the Pixel 3 and Pixel 3 XL will retain their single-lens system, bucking the trend of dual-cameras on nearly every other premium phone. Granted, Google has been able to accomplish some pretty amazing things with just one lens, but we were still hoping to see some dual-camera tricks with the Pixel 3. Alas, that doesn’t appear to be the case based on ostensibly leaked images of back panels. Russia-based site Rozetked, the phone will indeed stick with the same 12MP lens, though sample pics obtained by the site suggests Google’s processing prowess is still able to compete with the best dual-camera phones. However, there’s something interesting happening with the front camera. On both of the panels that have leaked, you can clearly see space for a pair of camera lenses, which could mean one of two things: (1) The Pixel 3 is adopting a dual selfie cam like the HTC U12+, or (2) the Pixel 3 will have an iPhone X-style sensor for facial recognition. Either of these options is intriguing, but we haven’t heard any rumors to support the launch of a Face ID clone for Android, so our money’s on option one. Some details have also emerged about the camera app. Rozetked has snapped some screenshots of the app in action, and while it has a few new tricks—most notable a “Store videos efficiently” toggle—but there still doesn’t seem to be a set of manual controls. Based on Rozetked’s leak, the Pixel 3 is expected to adopt wireless charging, a feature we haven’t seen in a Google phone since the days of the Nexus 6. But there might be more to it than standard Qi support. According to a teardown of the latest version of the Google app by 9to5Google, Google will be selling a new accessory for the Pixel 3 called the Pixel Stand. And it might be a whole lot more than a wireless charger. Based on language in the code, the Pixel Stand will be a cross between a Google Home and a charging dock. Specifically, it reads: “Your Assistant can use your personal info to make suggestions, answer questions, and take actions for you when your phone is locked and on your Pixel Stand.” That sounds like Google will be marketing the Pixel as a portable Google Home. Couple that will the rumors that Google will be releasing the Pixel 3 with a pair of wired Pixel Buds in the box, and it seems as though Google will be taking Assistant integration to a new level with the Pixel 3. We first heard that Google’s evetn might be changing from its usual San Francisco location when Mark Gurman of Bloomberg News reported that this year’s event will be held in New York City. Now Google has sent out invitations for its Made by Google event and it is indeed taking place at Spring Studios in NYC on October 9. We don’t know anything about the price, but based on the specs and the current pricing, it will likely have a starting price of around $649 for the Pixel 3 and $849 for the Pixel 3 XL.